Daniel Rourke | Tue Sep 10th, 2013 11 a.m. The boundary between science fiction and social reality is an optical illusion. This is no fantasy... no careless product of wild imagination. No, my good friends. 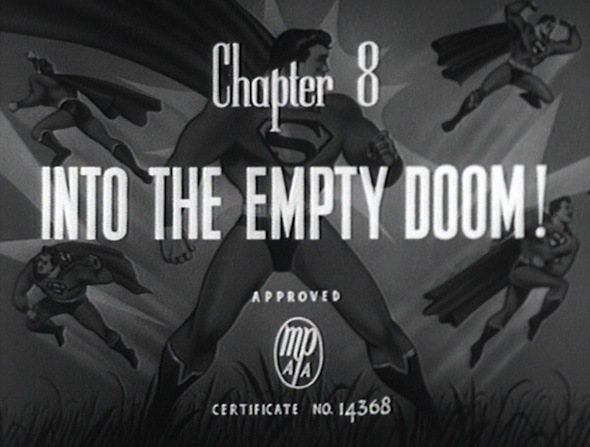 In a 1950 film serial entitled Atom Man vs Superman  television executive and evil genius Lex Luthor sends Superman into a ghostly limbo he calls "The Empty Doom." Trapped in this phantom void, Superman's infinite powers are rendered useless, for although he can still see and hear the "real" world his ability to interact with it has all but disappeared. Over the following decades this paraspace —to use Samuel Delany's term for a fictional space, accessed via technology, that is neither within nor entirely separate from the 'real' world—would reappear in the Superman mythos in various forms, beginning in 1961. Eventually dubbed "The Phantom Zone," its back story was reworked substantially, until by the mid 60s it had become a parallel dimension discovered by Superman's father, Jor El. Once used to incarcerate Krypton's most unsavory characters, The Phantom Zone had outlasted its doomed home world and eventually burst at the seams, sending legions of super-evil denizens raining down onto Earth. Beginning its life as an empty doom, The Phantom Zone was soon filled with terrors prolific enough to make even The Man of Steel fear its existence. The Phantom Zone is one of the least bizarre narrative concepts from what is now known as the Silver Age of D.C. Comics (following on from the more widely celebrated Golden Age). It could be readily understood on a narrative level, and it had a metaphorical dimension as well, one that made conceivable the depths contained in Superman's vast, but ultimately manipulable universe. The Phantom Zone was usually portrayed on a television screen kept safe in one of the many rooms of the League of Justice headquarters. It could also be used as a weapon and fired from a portable projection device—the cold, harsh infinity of the Empty Doom blazing into Superman's world long enough to ensnare any character foolish enough to stand in its rays. Whether glimpsed on screen or via projection, then, The Phantom Zone could be interpreted as a metaphor for the moving image. In comic books, as in the moving image, the frame is the constituent element of narrative. Each page of a comic book is a frame which itself frames a series of frames, so that by altering each panel's size, bleed or aesthetic variety, time and space can be made elastic. Weisinger and Boring's Phantom Zone took this mechanism further, behaving like a weaponized frame free to roam within the comic book world. Rather than manipulating three-dimensional space or the fourth dimension of time, as the comic book frame does, The Phantom Zone opened out onto the existence of other dimensions. It was a comic book device that bled beyond the edge of the page, out into a world in which comic book narratives were experienced not in isolation, but in parallel with the onscreen narratives of the cinema and the television. As such, the device heralded televisual modes of attention. For his 1978 big-budget movie version of Superman,  director Richard Donner cunningly translated The Phantom Zone into something resembling the cinema screen itself. 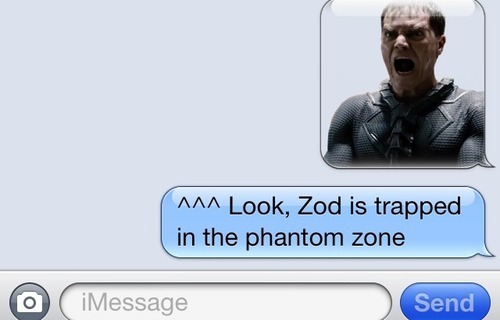 In the film's opening sequence, a crystal surface swoops down from the immense backdrop of space, rendering the despicable General Zod and his cronies two-dimensional as it imprisons them. In the documentary The Magic Behind the Cape,  bundled with the DVD release of Superman in 2001, we are given an insight into the technical prowess behind Donner's The Phantom Zone. The actors are made to simulate existential terror against the black void of the studio, pressed up against translucent, flesh-like membranes and physically rotated out of sync with the gaze of the camera. Rendering the faux two-dimensional surface of Donner's Phantom Zone believable required all manner of human dimensions to be framed out of the final production. The actors react to causes generated beyond the studio space, the director's commands, or the camera's gaze. They twist and recoil from transformations still to occur in post-production. In a sense, the actors behave as bodies that are already images. With its reliance on post-produced visual effects, the Phantom Zone sequence represents an intermediary stage in the gradual removal of sets, locations, and any 'actual' spatial depths from the film production process. Today, actors must address their humanity to green voids post-produced with CGI, and the indexical relationship between the film image and the events unfolding in front of the lens have been almost entirely shattered. In this Phantom cinema produced after the event, ever-deeper layers of special effects seal actors into a cinematic paraspace. Just as The Phantom Zone of the comic book heralded televisual modes of attention, The Phantom Zone of the 1970s marked a perceptual regime in which the cinematic image was increasingly sealed off from reality by synthetic visual effects. As from the Greek root aisthanesthai – "to perceive"—the aesthetic conditions through which The Phantom Zone have been translated frame far more than a supposed fictional void. Called upon to indicate an absolute outside — the unfathomable infinity of another, ghostly, parallel universe — The Phantom Zone instead reiterates the medium of its delivery, whether comic book, television, or cinema, with mirror-like insistency. Such is the power of new technical modes of thought, that very often, they cause us to rethink the outmoded media that we are so used to as to be unaware. The Phantom Zone hides the cinematographic image in plain view. Its reappearance and reimagining over the last 60 odd years, in ever newer forms and aesthetic modes, can be read paradigmatically, that is, as a figure that stands in place of, and points towards, shifts, mutations and absolute overturnings in our perceptual apparatus. 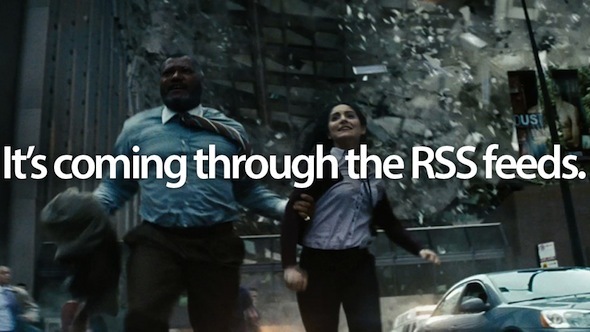 Its most recent iteration is in the 2013 Superman reboot, Man of Steel,  and in particular in a 'viral' trailer distributed on YouTube a few weeks before the film was released. Coming towards us soars a new mode of machinic thought; a Phantom Zone of unparalleled depth and aesthetic complexity that opens onto a new new - digital - nature. The General Zod trailer for Man of Steel begins with a static rift that breaks into a visual and audial disarrangement of the phrase, “You are not alone". General Zod's masked face materializes, blended with the digital miasma: a painterly 3D effect that highlights the inherent ‘otherness' of where his message originates. The aesthetic is unsettling in as much as it is recognizable. We have no doubt as viewers of this 'viral' dispatch as to the narrative meaning of what we are witnessing, namely, a datastream compressed and distributed from a paraspace by an entity very much unlike us. The uncanny significance of the trailer stems more from how very normal the digital miasma feels; from how apprehensible this barrage of noise is to us. Indeed, it is ‘other', but its otherness is also somehow routine, foreseeable. 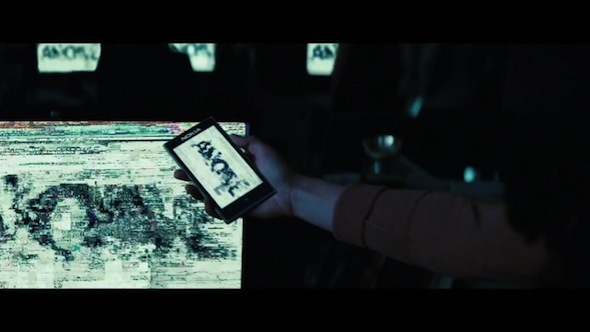 The pathogen here is not Zod's message, it is digital technology itself. The glitched aesthetic of the trailer has become so habitual as to herald the passing of digital materiality into the background of awareness. Its mode of dissemination, via the Trojan Horse of YouTube, just as unvisible to us during the regular shifts we make between online/offline modes of communication. The surface of this Phantom Zone very much interfaces with our material world, even if the message it impresses upon us aches to be composed of an alien substance. Digital video does the work of representation via a series of very clever algorithms called codecs that compress the amount of information needed to produce a moving image. Rather than the individual frames of film, each as visually rich and total as the last, in a codec only the difference between frames need be encoded, making each frame “more like a set of movement instructions than an image." The painterly technique used in the General Zod trailer is normally derived from a collapse between key (image) and reference (difference) frames at the status of encoding. The process is called ‘datamoshing', and has its origins in glitch art, a form of media manipulation predicated on those minute moments when the surface of an image or sound cracks open to reveal some aspect of the process that produced it. By a method of cutting, repeating or glitching of key and reference frames visual representations are made to blend into one another, space becomes difference and time becomes image. The General Zod trailer homages/copies/steals the datamoshing technique, marking digital video's final move from convenient means of dissemination, to palpable aesthetic and cultural influence. Once again, The Phantom Zone highlights the material mode of its delivery with uncanny exactness. We are now surrounded by images that supersede mere visual appearance: they generate and are generated by everything the digital touches, including we, the most important component of General Zod's 'viral' diffusion. The digital Phantom Zone extends to both sides of the flickering screen. Donna Haraway, Simians, Cyborgs and Women : The Reinvention of Nature. (London: Free Association Books Ltd, 1991), 149–181. Richard Donner, Superman, Action, Adventure, Sci-Fi, 1978. 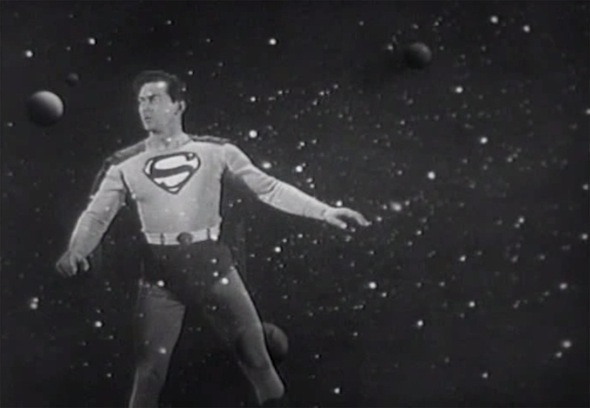 Spencer Gordon Bennet, Atom Man Vs. Superman, Sci-Fi, 1950. Scott Bukatman, Terminal Identity: The Virtual Subject in Postmodern Science Fiction (Durham: Duke University Press, 1993), 164. 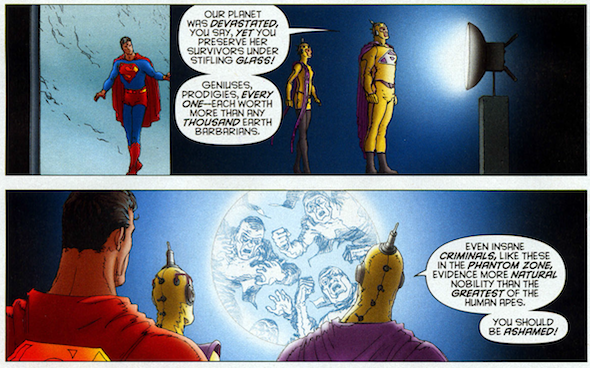 Grant Morrison, Supergods: Our World in the Age of the Superhero (London: Vintage Books, 2012), 62. Walter Benjamin, “The Work of Art in the Age of Its Technological Reproducibility," in The Work of Art in the Age of Its Technological Reproducibility, and Other Writings on Media (Cambridge Mass. : Belknap Press of Harvard University Press, 2008), 26. Susan Buck-Morss, The Dialectics of Seeing: Walter Benjamin and the Arcades Project (MIT Press, 1991), 70. Jens Andermann, The Optic of the State: Visuality and Power in Argentina and Brazil (University of Pittsburgh Pre, 2007), 5. Zack Snyder, Man of Steel, Action, Adventure, Fantasy, Sci-Fi, 2013. Man of Steel Viral - General Zod's Warning (2013) Superman Movie HD, 2013, http://www.youtube.com/watch?v=5QkfmqsDTgY. BackStarCreativeMedia, “Datamoshing—the Beauty of Glitch," April 9, 2009, http://backstar.com/blog/2009/04/09/datamoshing-the-beauty-of-glitch/. Mark B. Hansen, “Cinema Beyond Cybernetics, or How to Frame the Digital Image," Configurations 10, no. 1 (2002): 54, doi:10.1353/con.2003.0005. Mark Poster, The Second Media Age (Wiley, 1995), 20. Jean Baudrillard, “The Murder of the Sign," in Consumption in an Age of Information, ed. Sande Cohen and R. L. Rutsky (Berg, 2005), 11. Tom Estes | Tue, Jul 22nd, 2014 11:31 a.m.